In a technologically advancing world, computer science offers a versatile field of careers to pursue, ideas to explore and ways to improve the world. 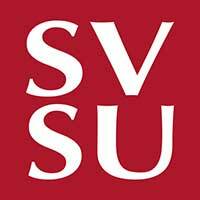 At SVSU, our computer science program combines abstraction with practicality — equipping you with skills in mathematics, software design and computing related topics. With a low student-to-faculty ratio and high job placement for SVSU graduates, you’ll develop strong relationships with your professors and gain real-world experience to prepare you for the career you imagine. At SVSU, the world of coding doesn’t have to be a daunting one. Studying computer science at SVSU equips you to make a positive difference in the world—from furthering the human genome project to reimagining AIDS vaccine research or developing environmental monitoring and protection. Discover all of the opportunities available for you as a part of our computer science community. Apply today. Dustyn brings a dedication to his development in computer sciences that has secured his standing as an elite student among his peers nationally. His savvy researching smartphone facial recognition technology earned him a grant with the Michigan Space Grant Consortium. His curiosity about artificial neural networks won him support from the National Science Foundation. And his sharp know-how earned him a spot as a research presenter at two different international computer system security conferences, in San Diego and Poland. With expert professors and opportunities for hands-on research, SVSU’s computer science program prepared Dustyn to excel in ways undergraduates rarely do. The result: A successful launch for an amazing talent with a bright future. The computer science course load includes basic calculus and linear algebra; courses in professional ethics; training in information systems as well as a concentrated focus in operating systems, database systems, algorithms and computer networks. Content ranges from programming theory to its many applications, and your SVSU professors will support you in developing both the analytic thinking and technical skills needed for success. Click to further explore the core requirements and electives of the program. SVSU offers a clear direction of where you need to be academically in each year of your college career. This course sequence is advised to be followed accordingly to achieve maximum experiences while you are at Saginaw Valley. SVSU has launched a new graduate degree to further equip professionals to differentiate themselves and support their businesses through the field of computer science. From app development to digital integration with automated manufacturing systems, SVSU’s Master of Science in Computer Science and Information Systems will provide you with upward mobility and depth of knowledge in your field. And with flexible course times and formats, this degree can easily adjust to the needs in your life. Graduate ready for the job market or well-suited for a graduate degree. With SVSU, your opportunities can take you just about anywhere. Cardinals bring their knowledge of computer science to a range of industries: healthcare, education, hardware manufactures, software developing and more. Some choose to work for regional businesses and some take positions at globally renowned companies like Dow, IBM and Microsoft. Others go on to earn master’s degrees and Ph.D.s. When you’re a Cardinal, you get to choose where you soar. At SVSU, we’ll support and encourage you each step of the way.